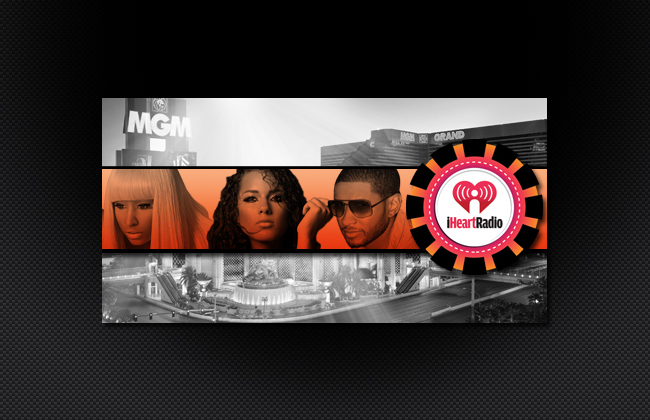 The biggest live music event in radio history. 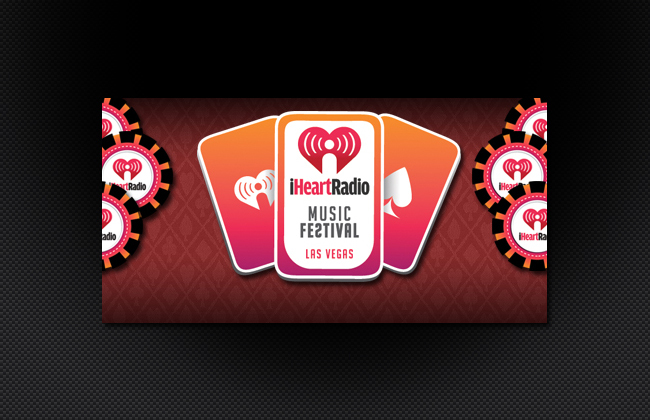 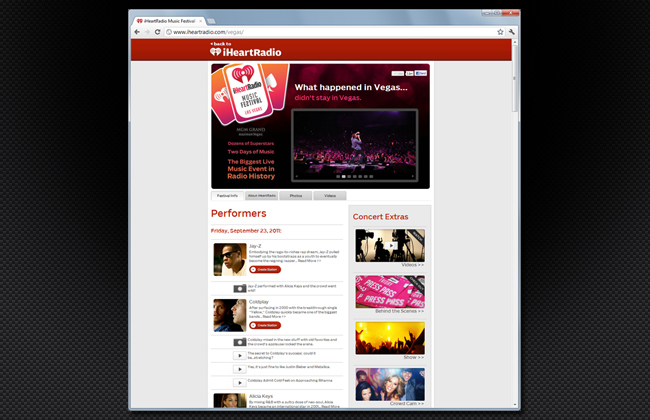 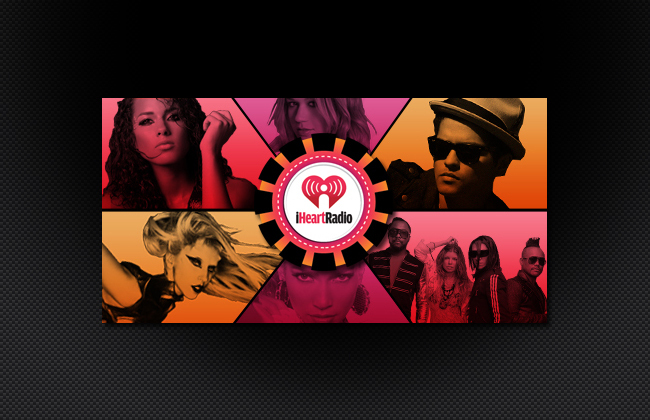 The innagural iHeartRadio Music Festival took place at MGM Garden Arena in Las Vegas, NV on September 23rd and 24th. 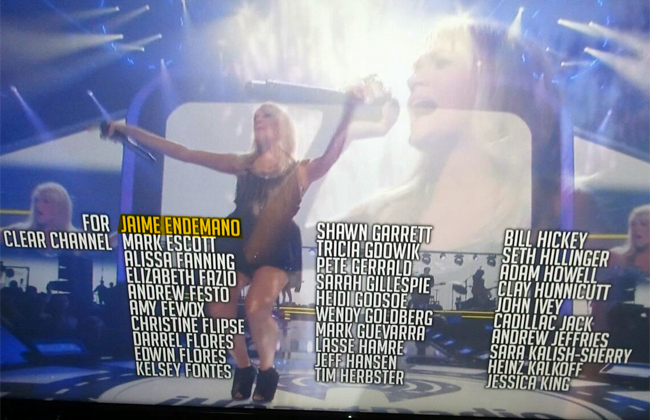 Among the artists to perform were: The Black Eyed Peas, Kelly Clarkson, Carrie Underwood, Jane's Addiction, Coldplay, Alicia Keys, Jay-Z, Steven Tyler, Jeff Beck, Nicki Minaj, Jennifer Lopez, Usher, Lady Gaga, and Sting.